I've enjoyed working in the Outdoor Education field, mainly school settings but also in Outdoor Environmental Education at Science Camps throughout the Southwest, Adventure Student Travel, Student Educational Cultural and Performance Group Travel, directing programs and tours all over the United States. While directing educational school programs, adventure hikes & Science Camps at various educational institutions, faith based organizations, YMCA'S and Outdoor Education Camps throughout California, Arizona, Washington D.C. New York, etc. I established outdoor education camps and educational programs in the 1980's that are still running today. I was owner/manager of Wilderness Sports; a retail backpacking, climbing and ski/snowboard mountain shop with an outdoor school while in my twenties. 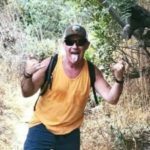 I have “thru-hiked” the John Muir Trail (NoBo) in 28 days and loved every minute of it, and section hiked most of the PCT. I’ve climbed Mt. Whitney 3x, Mt Shasta 3x, Mt, Hood and many, many other peaks in the Pacific Northwest including being a Six Pack of Peaks finisher. I've hiked extensively all over the Grand Canyon; R2R, Havasupai, etc., and am the founder and lead hiker for the Heritage Hiking Club (established 1976), and Grand Canyon / Havasupai Adventures (established 1980). I am a Red Cross certified advanced First Aid / CPR / AED Instructor and am NOLS Wilderness First Aid Trained. I live with my wife and two children in Placentia, California.